VoIP is all about punching above your weight class. Smaller businesses have the tools once only available to the largest businesses. Smaller VoIP providers compete with more established providers, who themselves looking to disrupt established telecommunications expectations. RingCentral is a well-known business VoIP provider, and they want to appeal to businesses of all sizes by offering a range of options to communicate both internally and externally. Ringio is an alternative provider, and they stand out by offering uncommon features. Both providers offer the basics, like unlimited US calling and a range of hosted PBX features. But how do they stack up feature for feature? Let’s look at the tale of the tape. There is no activation fee for either Ringio or RingCentral. Ringio has a 14-day, 100-minute free trial; if you like the temporary phone numbers they give you to get started, you can keep them by subscribing to the full service. In any Ringio monthly plan, you can cancel any time. RingCentral gives a 30-day free trial to any account with 2 or more users. If you’re uneasy about the cost of buying new hardware, you can rent phones with a multi-year contract. The phones won’t be free, you’ll have a few extra dollars added on to your bill every month. If you get any phones either as a rental or as a temporary promotion and you cancel, you have to return them within three weeks of starting your trial or you’ll be charged the full amount. Here is a table of the RingCentral prices, listed per tier. Ringio prices also have three tiers, but while RingCentral gives you the option to prepay for the year, Ringio does not. With Ringio, you can go month to month, or, if you have more than ten users, get an annual contract to save 10%. RingCentral’s big feature is the online meetings. On either a desktop or mobile device, you can connect in high definition video and voice to other RingCentral subscribers. You can share your desktop and download shared files from online storage. Ringio’s big feature is how well it integrates with CRM software and gives you instant access to information about the caller. Along with the greet-by-name, it makes it easier to create rapport quickly with callers. As noted above, both RingCentral and Ringio have three pricing tiers, depending on the needs of your organization. The least expensive is for smaller companies with fewer needs, the middle tier is the best overall value, and the highest tier unlocks premium features. For both of these providers, you can have as many or as few users as you want at any tier; Ringio has a minimum or two users, and RingCentral allows you to use just one, if you want the professional appearance but are a solopreneur. Ringio’s Basic tier includes 30 popular PBX features, and inbound toll-free calls are $0.039/min. At this tier, you do not the features that make Ringio unique, and it is really only good as an inexpensive phone service. The Ringio Pro tier includes the PBX features, plus CRM integration, call analytics, and call recording. Inbound toll-free calls are $0.034/min. This is their most popular tier. The Premium Ringio tier includes the above features, plus call queue and the power dialer. Inbound toll-free calls are $0.029/min. Paperless faxing is a $10 premium feature, available to all tiers. 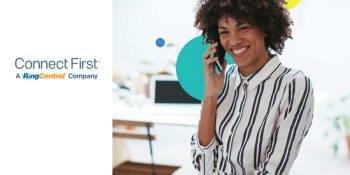 RingCentral Standard includes the PBX features, plus unlimited faxes and business SMS texting, integration with Microsoft Office and Outlook, integration with Google, Box, and Dropbox cloud-based storage, and call log reports. Additionally, you get 1,000 inbound toll-free minutes included at no extra charge, and online meetings with up to four participants. 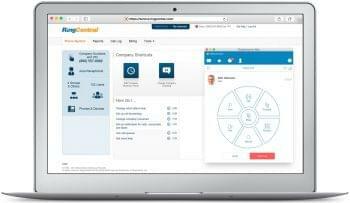 RingCentral Premium includes the above features, plus caller ID by name, HD voice, automatic call recording, multi-level auto-attendant, and CRM integration with Salesforce, Zendesk, and Desk.com. Plus, you get online meetings with up to 25 participants, and 2,500 inbound toll-free minutes. Enterprise features all of the above features, and lets you include up to 50 people in online meetings. You also get 10,000 inbound toll-free minutes. 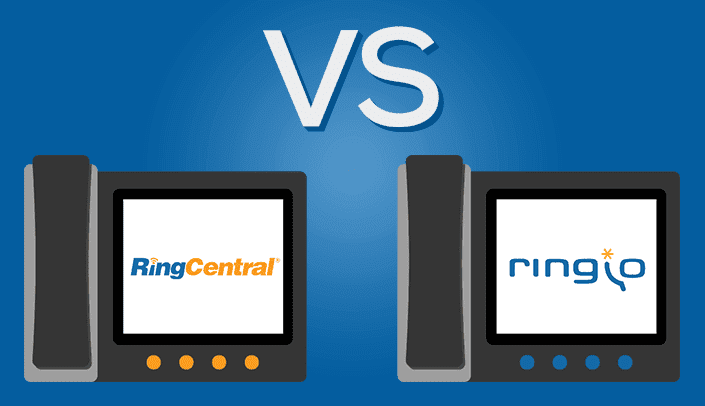 RingCentral and Ringio handle phone numbers a little differently. Obviously, you get one number included. RingCentral, as mentioned above, offers toll-free minutes, but they do not offer the toll-free number itself for free. If you are with RingCentral, you have to pay an additional $4.99/mo for the number, and you would pay that amount for any local, toll-free, or fax number. There is no limit to how many numbers you can have as long as you pay for them. International phone numbers are $15/mo each. Vanilty numbers cost a one-time $30 activation fee. There is no fee for porting a number to RingCentral. North American phone and fax numbers on Ringio are $10/mo each. Ringio does not have a database of vanity numbers, but you can get them on your own from a phone number broker (their website links to a recommended broker), and port the number in. Porting is a one-time $35 activation fee for every porting, whether its your existing number or a new number you just bought. For both providers, there is no extra cost to port the number out to another provider. IMPORTANT NOTE: For any porting process, be sure to start the porting with your new provider before disconnecting service from your old provider, otherwise you may lose your number. RingCentral offers live phone support for accounts with only 1 user M-F 5am-6pm PT. RingCentral offers 24/7 support for all customers with 2 or more users. The actual customer service is US-based for accounts with 20 or more users, so accounts with 19 or fewer users will still get the 24/7 support, but it may come from one of their international service centers. You can also get 24/7 online help by submitting a service ticket. Ringio offers email support only to basic subscribers. Pro users get email and phone support. Premium subscribers not only get priority service with their phone and email, but they a dedicated account manager to ensure that things run smoothly. You also get online support, and they boast that 90% of their new ideas actually come from interacting with customers. Ringio offers a 100% uptime guarantee. For both RingCentral and Ringio, the more you pay, the more you get, but even basic subscribers will have all the tools to keep their phones up as long as they’re patient. 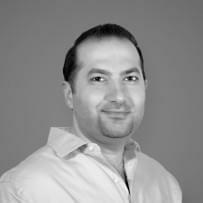 In the world of VoIP, finding a feature or set of features that is truly unique is unlikely. With so many VoIP providers both large and small, and with many larger companies licensing smaller companies’ technology, many features that can be found on one provider can be duplicated in one way or another by another. But, in many ways, the packaging makes a huge difference. 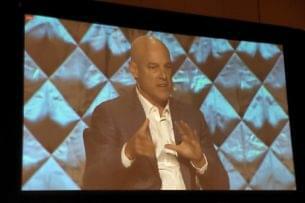 RingCentral has a state-of-the-art video conference package….which they license from Zoom. You can have a similar experience using GoToMeeting or a number of other teleconference services. Ringio has a unique proprietary CRM software…which can be duplicated in most ways by integrating RingCentral with Salesforce or many other third-party CRM providers. I know of only one other provider that offers greet-by-name, which makes it rare, but still not 100% unique. With that in mind, if you have your mind dead set on one particular feature, if you look hard enough, you’re likely to find it somewhere. But most VoIP subscribers aren’t looking to meticulously integrate services from half a dozen providers, they’re looking for an ecosystem that works by itself. So, what we’re looking for most is the ecosystem that works most easily with the provider. Ringio actually has more in common with call center software providers and packages than it does a more office-centric service like 8×8 or Nextiva. The screen pops and CRM integration are commonplace among contact centers, but contact centers are expected to have large numbers of interchangeable agents. Ringio takes those same features and puts them in the hands of small, dedicated offices. RingCentral is a heavyweight in the world of Business VoIP. They compete with everyone, and they work for anyone. Their bread and butter is small and medium sized businesses, but they can and do charge $50,000 per year for enterprise subscribers. Their aforementioned HD video conference gives an entrepreneur with an iPad a smaller version of telepresence systems that take up entire rooms. Ringio is the rainbow sherbet to RingCentral’s vanilla. They’re colorful, they’re far out, and they will unquestionably have their followers. But, vanilla is the number one flavor for a reason, and that’s because the most people like it. So, are you a Vanilla or are you a Rainbow Sherbet? Need to update this because there are several things that have been updated to both systems. Information is out of date to find this information useful. If updated, it would be useful. Would also like to see a comparison across multiple platforms and CRMs that work together.